Today I’m talking to an inspirational friend of mine.. Matt Coulter. 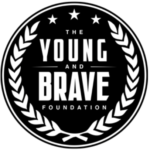 Matt is the co-founder and executive director of The Young and Brave Foundation, which is a nonprofit organization dedicated to helping today’s youth beat cancer. What an incredible intention, right? It’s an incredible foundation designed to support those, 40 and under, who are battling cancer. I also love that if you donate to a specific warrior 100% of the money goes to the family… it’s amazing. 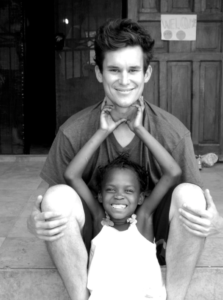 One of the things that inspires me most about Matt is his journey to find meaning in his life. He started his career in a high paying job, completely driven by money and status. But these things are usually ego driven and insatiable so no matter how much money, fame or status we get, it will never be enough. All of which is actually an inside job and will never be satiated from the external world. So either way we’re set up for failure chasing these things that our society places so much value on..
And this is not to say you can’t want these things but understand, that they will probably not fulfill you in the way that you think they will. Some people go a lifetime unknowingly chasing these things only to reach their goal mystified as to why they don’t feel fulfilled.…and quite the opposite are greeted with empty dissatisfaction. What’s cool about Matt is that he made this discovery about himself early on. In his early 30’s, feeling dissatisfied and unfulfilled he quit his high paying job and shifted his purpose to giving back to others – starting “The Young and Brave Foundation” with his best friend, professional surfer Nathanial Curran. And his life has been different ever since. In today’s episode, Matt and I had a really fun and playful conversation and we cover a wide range of topics.. from …discovering your purpose and the value of living in service to others… to sensory deprivation tanks, journaling, sleep & creativity. Matt is a super smart and creative guy and he’s using his skills to help the greater good, which is what it’s all about. Hope you guys enjoy the show!